My Camino de Santiago: How much does it cost on the Camino? How much does it cost on the Camino? Excluding the transportation cost to Roncesvalles (as in my case), expect to spend around 20-25 euros per day in the camino. That should cover the albergue, food and drinks during the day and the peregrino menu in the night with a bit left for your other indulgences. You would probably spend less if you cook your own dinner. And if you choose to stay at a hostal/pension instead of an albergue, it will put you back 15-25 euros a night just for the lodging. My starting point was in Madrid with a total travel time of around 20 hours with 1 stopover. Took a train from the airport to the city. 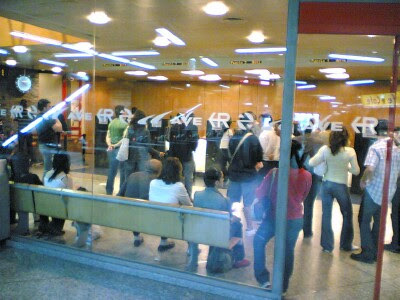 Here in Renfe (train company) at the Atocha station in Madrid buying my train ticket to Pamplona. 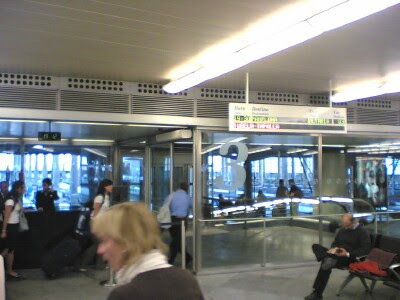 At the station before the 19.00 hours departure. 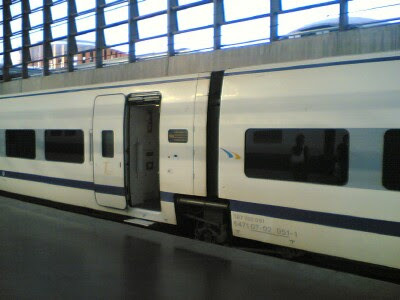 Nice clean train for around 48 euros one way to Pamplona. Arrived in Pamplona around midnight. 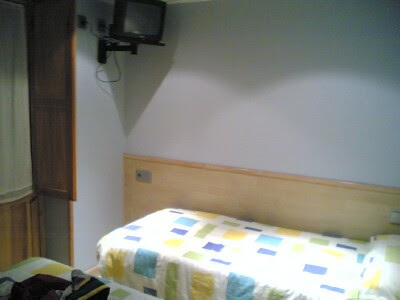 Here in a Pension at Pamplona (25 euros). Nice bed with TV. It would be a while before I have the opportunity to enjoy such luxury again after this night. I shared a taxi the next day with a Spanish couple at the bus station in Pamplona. I got off in Roncesvalles while the couple continued to St. Jean on the French side. In 2 days, I will be walking pass Pamplona again. Note: There is only one bus leaving from Pamplona to Roncesvalles and it's at 18.00 hours. You are better off looking around at the bus station in the morning for other peregrinos willing to share a cab. I paid a third of the cab fare with the couple (20 euros). Once the pilgrimage starts, the cost per day will start to go down. There is no need to carry all the cash you need for the whole journey with you. You can get cash with ATM card from any country so long as they have the 'Plus' or 'Cirrus' logo on the back. 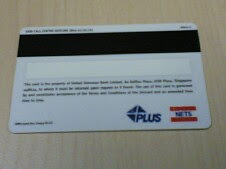 My ATM card is using 'Plus' system. Check with your bank before you leave for the camino and make sure that it is authorized for cash withdrawal in foreign countries. There will be a charge each time you use it to withdraw cash, so it is best to withdraw the cash limit every time you use the card (around 300 euros). I have used it twice during my camino. An ATM machine can be found in any mid size town along the camino.